Is that a bird or a plane? So like rugby journo Marc Hinton's song and dance about something to do with the All Blacks disrepecting the nation, the Anzacs, the baby jesus and yo' mama by not singing the national anthem is amusing. The second reason is the 400 plus commentators who seem to be on side with the face value of the text, bemoaning the "rude behaviour of the All Blacks" and labelling the All Blacks as not being "a proud team". Give me strength. Why should we care about the song? It's asking god to defend New Zealand. It's asking the impossible. It's like asking the taniwha to protect a highway or something. It's like asking Chloe to defend Wainuiomata from the swine flue with out her tiger slippers. The smart one's are in the team are probably athiests and object to singing god defend new zealand on principle! 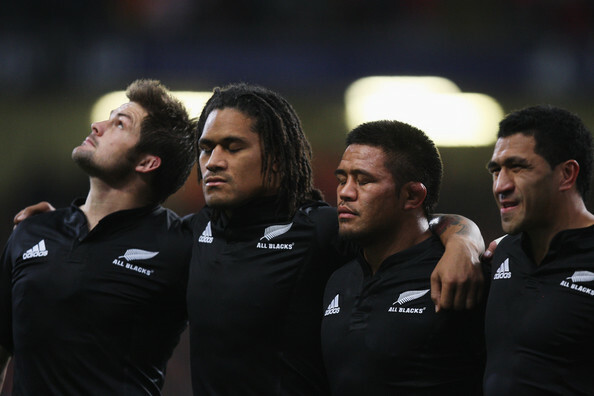 Why do the All Blacks need to sing a song any way? Good looking people are paid to sing the anthem any way! Admittedly they are sometimes worse than the what the entire pack could muster but thats beside the point. Why also give passion to the song, when you have the haka coming up. That's when the Blacks turn it on. Not for some bloody triple star. What had Colin Meads said about this situation? Probably something about man is a steak eating island I imagine. Not a proud team? Look at the passion and fire when the AB's line up to do the haka. When Piri Weepu does the call, I get a lil scared on the couch. I was thinking the All Blacks were gonna use the new Kapa o Pango haka, to show France they meant business in the second test match. But they didn't. Which is genius really because even though they were there to do the business, they were just showing Le France they were just another team and not worthy of Kapa o Pango. This subtley is of course lost on Chabal. You can also imagine them doing this same tactic in the Rugby World Cup Semi Final but not the Final* as well. *Don't laugh, All Blacks gonna win the cup.